Otsego County is doing its best to create Upstate jobs, but without the gas and pipelines Pennsylvania has and the fracking Cuomo denies, it’s all uphill. Otsego County,’s population has flatlined, grown older, and has lost the young adults who bring life to our communities and children to our schools. These young adults need good jobs and they’re not finding them here. Unfortunately. these conditions are not unusual in rural America. Otsego’s elected officials and the business community have taken action and revamped the county’s Industrial Development Agency to concentrate on job creation through economic development. There has been some slow progress. Last month New York City and Northern Virginia got economic booster shots when Amazon chose them in their nationwide search for headquarters expansion. There’s no illusion here that Amazon would ever follow Chobani Yogurt and choose a small Upstate New York County for for its springboard to the future. The baseline needs are different; cows versus the computerati. However, many of the selection criteria are the same. In the end, Otsego County’s biggest impediment to economic growth is its inability to access cheap energy. That means GAS. Otsego County wants jobs: New York City likewise. Recently, Amazon chose NYC and Northern Virginia for their new headquarters sites, each employing 25,000 people with an average salary of $150,000. Nice work if you can get it, and 238 localities went for it. Assuming the search wasn’t rigged, what were the criteria for selection? Adjusted for scale and to specifics related to the nature and culture of Big Tech, Amazon’s selection criteria were similar to those assessed by Otsego Now, our local Industrial Development Agency (IDA). Logistically, both note the importance of proximity to airports, rail, and interstates. Both stress “shovel readiness.” ie., access roads, utilities, and zoning ready to go on Day One. Money talks. Amazon and Otsego Now both acknowledge incentives are needed in closing the deal; $5.5 billion in City and State money to Amazon in NYC, a more modest PILOT (Payment In Lieu Of Taxes) to firms relocating in Otsego County. Otsego is a good place to live and work. Want a bagel with schmear? You got it! A church supper with the neighbors. Bring a dish-to-pass! From a belly flop in a winter lake to a summer opera at Glimmerglass, Otsego has it all. Amazon calls this criteria “Diverse Culture” and tells us that’s what their employees want. Under another broad criteria, “Community,” Amazon found its employees wanted to further their educations and have access to music and the arts. Amazon chose accordingly. More than most rural counties. Otsego has these amenities. Under the criteria “Labor Force” Amazon chose catchment areas of at least one million people with follow-up projections of the number tech-savvy potential employees. Both NYC and Northern Virginia had 250,000 possible hires, approximately 20% recent grads with tech degrees. Obviously Otsego County wouldn’t have met Amazon’s specific needs but our labor force is ample and educated. “Sustainability,” a virtue-signaling concept in the Facebook/Amazon/ Netflicks/Google (FANG) world, was another criteria. Amazon’s methods to attain this goal aren’t clear. Don’t expect 600 foot windmills lining the East River. Rooftop solar is unlikely to power the product of 25,000 workers. However, the Indian Point nuclear facility, Con Edison, and Brooklyn Union Gas will still provide . Wisely, Otsego wasn’t among the 238 applicants for Amazon’x headquarters expansion. However, in spite of New York’s high taxes and excessive regulation, the County does have most of the “right stuff” — the logistics, a civic willingness to get things done (including PILOTS), a labor force, a culture and community able to attract people from far and wide. We fail on fiber and cell phone connectivity. We also fail on utility infrastructure. We need the availability of affordable energy. That means gas. Case in point. Recently a company met with Otsego officials to discuss a distribution center site being prepared in Schenevus. First question: is gas available? The pipeline situation was explained. New York has a Governor who has banned gas and obstructed new infrastructure. Possible alternatives were presented. As one of the participants said, “The air went out of the room.” The meeting continued but it was over. 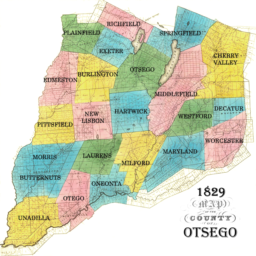 With the key incentive off the table, we’ll never know how many jobs Otsego lost. We do know some of the losses through our IDA. A local landmark restaurant wanted to bottle its sauce locally but had to look elsewhere due to the lack of affordable energy — gas. A projected 300 jobs lost. A Chinese company did a feasibility study with the IDA. It rejected the intended site due to the lack of gas. 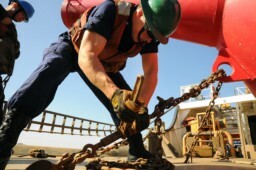 Another 175 jobs lost. These are two opportunities were we know our losses. Unknown are the losses from companies who reject Otsego County out of hand — no gas. The comparative numbers on energy costs tells it all. Virginia’s electric utility regulator recently listed the costs of wholesale electricity by source. Offshore wind costs 13.1 cents per kilowatt hour (kWh). Onshore wind costs 9.4 cents per kWh. It costs 5.7 cents for new solar. Gas clocks in at 3 cents wholesale. The use of gas for heat presents similar savings. If we want to jump-start job growth in Upstate New York, we’ll need the availability of gas. It’s that simple. Nice work, if we can get it, but not likely anytime soon with Andrew Cuomo as Governor. Richard Downey is a retired New York City schoolteacher and a member of the Unatego Board of Education and the Joint Landowners Coalition of New York. Otsego county’s business community failed when it sat by quietly and let Andrew Cuomo take away property owners rights. They were ok with that thinking no one could object to pipelines and they would get what they needed via pipeline from Pennsylvania . The clear message they sent was it’s ok to walk all over us. People, including Cuomo, were listening. It’s a case of not acting because you were not the one being hurt. And now the landowners could care less what happens to business. I know the realities of decay in rural America; still, I am opposed to the mega deals like Amazon’s extortion of taxpayers to fund its operations. That is on par with the Solar and Wind industries taking taxpayer money for developments and still the energy consumers have to pay more for green generated energy. The appeal of rural, small communities is that they are small with intimately related members. Growth is a double sided sword, it might bring wealth (which may not endure), but it also brings more problems and can destroy the fabric that exists in small communities. I grew up in a small rural community, which has not evolved much since I was a child. In fact, maybe it has devolved, as most rural communities tend to do. I have lived in mega cities and still live on the edges of one, still I long for the small community atmosphere of my youth. My kids all graduated from mega-high schools and formed very few lasting friendships in those schools. Yet, I still keep in touch with most of not only my own classmates, but a few of those younger and older than my own classmates. In a small community everyone knows everyone else and form more lasting relationships. I often regret that my kids did not experience the same since of community that I had, when growing up. I know most young people will have to move away from small communities to make a living, accumulate wealth, and raise a family. Yet, in the end, I’m not sure their lives are more enriched. People living in big cities often lose touch with the realities of what it takes to make big city life possible and tend to produce politicians like Cuomo.